Has Russia Abandoned the Rules of Spy-Craft? American and Russian intelligence services since roughly the Stalin era held a gentlemen’s agreement, often referred to as Moscow rules, that limited how we engaged with each other. Under these rules, and the prevailing threat of mutually assured destruction, we agreed not to attack each other physically and not to engage in certain types of activities, such as counterfeiting each other’s currency and meddling in each other’s political internal affairs. What are some traditional spy-craft activities? In simple terms, spy-craft has two parts: espionage and covert action. Both have a variety of tradecraft techniques and tools, including recruitment, elicitation, entrapment, supporting oppositional political activities, patronage campaigns, designing and disseminating propaganda, paramilitary engagement, and coup plotting. The manner with which any intelligence service would implement these actions spans a spectrum that, depending on the target and the stakes, may not have many limiting parameters. Were there norms beyond Moscow rules? Perhaps counterintuitively, Russia and the United States have been more constrained by self-imposed concepts of propriety or norms. The U.S. intelligence services, fortunately and rightfully, have, with rare exception, worked within the stringent lines of U.S. law. Assassinations, for example, have not been part of U.S. spy-craft against Russia or anyone else for a long time. In the early days of the Cold War, under White House authority, assassination operations were planned or unsuccessfully attempted by the CIA against a few leaders, including Cuban President Fidel Castro, Congolese head Patrice Lumumba, and Dominican Republican President Rafael Trujillo. Following the Church Committee in the early 1970s, the CIA was forbidden from engaging in this type of activity altogether, and that’s been rigidly adhered to. There have been no instances since then where the CIA has targeted any hostile intelligence agents, U.S. traitors, political opponents, or dissidents. In the post-9/11 environment, the United States carried out targeted drone attacks against terrorists; however, Congress, U.S. courts, and the executive branch have not categorized these attacks as assassinations. They are viewed as part of a war against battlefield terrorists. 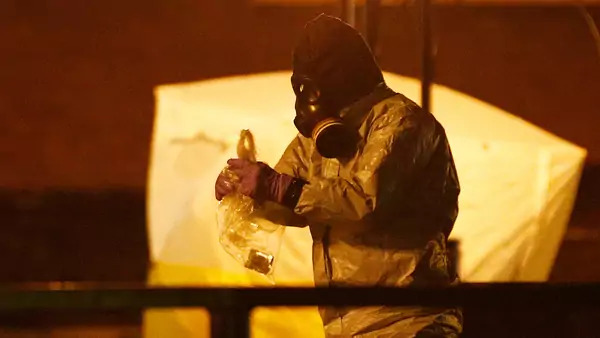 By contrast, starting during its tsarist roots, Soviet and Russian intelligence have used assassinations as part of its spy-craft tool kit many times, from targeting Leon Trotsky to Alexander Litvinenko to most recently, it seems, Sergei Skripal. That said, to my knowledge, it has never been used against CIA personnel or U.S. citizens in general, with the possible exception of the bizarre case of U.S. and Canadian diplomats in Cuba. Not enough is known yet about this case. We know from the Mitrokhin Archive and from the accounts of defectors like Oleg Kalugin that many of the [Soviet intelligence agency] KGB’s most lethal and outrageous initiatives were actually scrapped by the politburo before implementation. Today, with Vladimir Putin at the helm, I am not sure that there are systemic constraints on Russian intelligence actions. Russia seems unconstrained by any norms, whether they be Moscow rules, risk aversion, or rule of law and tenets of common decency. The list of Russia’s alleged transgressions keeps mounting: unrestrained bombings of civilians in Syria, meddling in elections in Eastern and Western Europe and United States, a systemic doping program for Olympic athletes, and assassination campaigns against domestic dissidents, whistle-blowers, human rights activists, independent journalists, and defectors from its intelligence services; Sergei Skripal certainly fits the profile. The methods, too; slow, cruel deaths by exposure to carefully crafted toxins are alarming to many. Is this a new era of no rules in spy-craft? While [Russia’s external intelligence agency] SVR seems to have clearly jumped the track—as well as the North Koreans with the assassination of Kim Jong-nam—I don’t think this qualifies as a new no-rules era of spy-craft. Rather, I would venture to say that some informal restraints remain at play. How should the United States and its allies respond? What I hope can be done is to walk Russia back from the brink through a combination of robust responses and sub-rosa discussions that would compel Russia to constrain its actions. On the assassination issue, fortunately, as yet no Americans have been targeted, and no acts have been carried out on U.S. soil. That said, we need to continue to stand in strong solidarity with our British allies and publicly castigate the Russians for these acts, coupled with strong political and economic sanctions. Frank conversations aimed at reinstating some form of Moscow rules between Presidents Trump and Putin, and their intelligence heads, ought to be pursued. If an arrangement can’t be reached, we need to respond in kind and apply meaningful political and economic sanctions until they cease and desist.